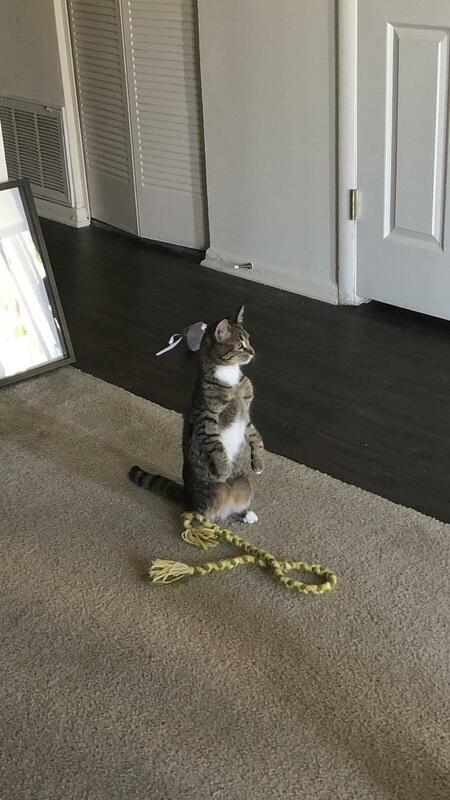 When Bean hears an unfamiliar noise she suddenly becomes a meerkat. It’s rare for my cats to snuggle together, it’s even more rare for them to both do so in my lap! What a lovely, lazy Sunday. My wife and my first shelter aminal. Since day 1 she has been the most calm tempered cat. From me flying her around our first apartment together to my son being a baby and a little too grabby. Shes in good health, maybe just a little plump. The loaf before you, Eevee.